A two-decade-old Boston Public Schools policy calls for the immediate removal of students on their 22nd birthday, even though many are on track to graduate in the spring. 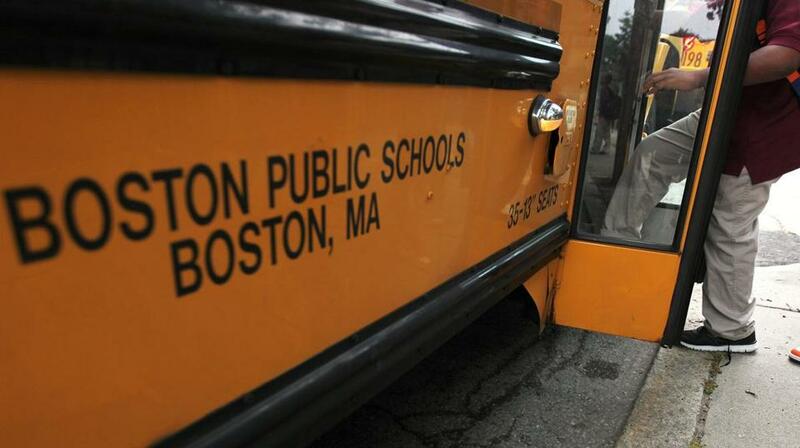 Boston school officials, facing a growing backlash over efforts to kick over-age students out of school, are now expressing a willingness to revise their policy so some or all of the students can finish the school year. Interim Superintendent Laura Perille presented two possible policy changes at Wednesday night’s School Committee meeting as the fate of nearly 100 soon-to-be 22-year-old students hangs in the balance. A two-decade-old policy calls for the immediate removal of these students on their 22nd birthday, even though many are on track to graduate in the spring. One potential proposal would allow all 22-year-olds to finish the school year. The other would address only students at Boston Adult Technical High School in Bay Village, which has been leading the charge for change and educates a disproportionate share of the affected students. Perille defended the School Department’s efforts to enforce the policy, which until last year had been unevenly followed among the district’s schools, arguing it must be applied uniformly out of fairness to all students. She implored all educators, students, and other community members to stop using the words “booted” or “kicked out” to describe policy enforcement, noting the system needs an end point for educating students and that any age cut-off will not please everyone. Perille’s remarks, along with a PowerPoint presentation, were the most substantive comments made by a district official since the issue flared up last month. Previously, officials offered only terse written statements that said they were willing to talk with teachers and school administrators about their concerns but made no commitments to changing the policy. The presentation came two days after City Councilor Annissa Essaibi George announced her intent to hold a hearing on changing the policy so 22-year-olds can finish the school year. Later that day, the School Committee filed an updated agenda with the city clerk’s office to include a presentation on the age cut-off policy. “These students represent a myriad of backgrounds,” he told the School Committee, noting many are recent immigrants or were born here and have overcome tremendous upheaval in their lives, such as homelessness. This is the second year Boston Adult Technical Academy has fought for its students’ diplomas. The School Department initially sought to enforce the policy during the last school year after scrutinizing rosters and noticing over-age students on them. The School Committee granted the school a one-year waiver from the policy and directed the School Department to find a permanent fix. But no solution emerged, and as this school year wore on, the academy grew worried that its students would be forced out, crushing their graduation dreams. Perille said she is hoping to present a formal recommendation to the School Committee on Jan. 30, but she added if no clear solution emerges, she would recommend another waiver for Boston Adult Technical Academy. Meanwhile, students who turn 22, including a few from last month, can remain enrolled. One major sticking point in changing the policy is money. The special education department has long been enforcing the policy, but if the School Department allowed all 22-year-olds to finish the school year, that would mean the continuation of potentially pricey services for students with significant disabilities, which can include one-on-one classroom aides, door-to-door bus service between home and school, and in some instances placement in private day or residential programs that can cost tens of thousands of dollars. About three dozen of the affected students this year have significant disabilities. School officials said in previous years that the number of students with disabilities turning 22 has exceeded 70. Carolyn Kain, chair of the Boston Special Education Parent Advisory Council, urged the School Committee to closely examine the financial costs and to ensure full funding if they change the policy. She noted that special education remains underfunded, especially in preparing students in their later years for their exit from the Boston Public Schools. She predicted that if all 22-year-olds are allowed to finish the school year, it could entice other families with students with disabilities to move here because the policy would be more generous than other school systems.